All my trees are up and decorated, shopping is done and I've finally gotten all the presents wrapped and under the tree. Let the celebrating commence! 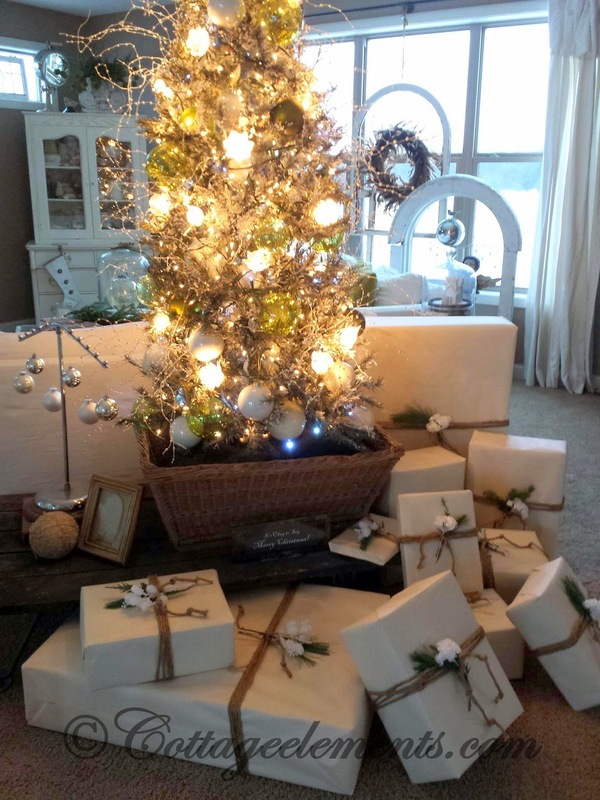 And this year I decided to have my presents have a more natural feel. 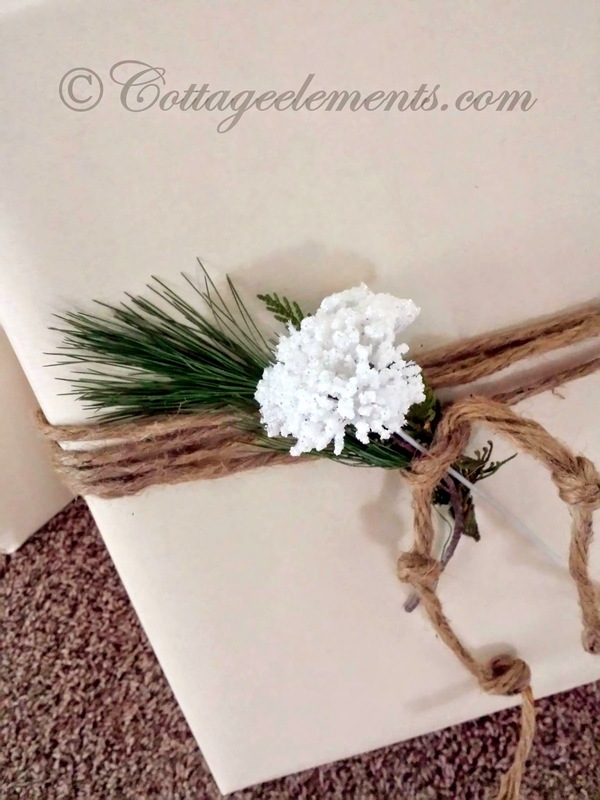 I had this vintage twine, which I have to say I love. With some new faux sparkly elements and some fresh greens, I think they turned out pretty darn good if I do say so myself. 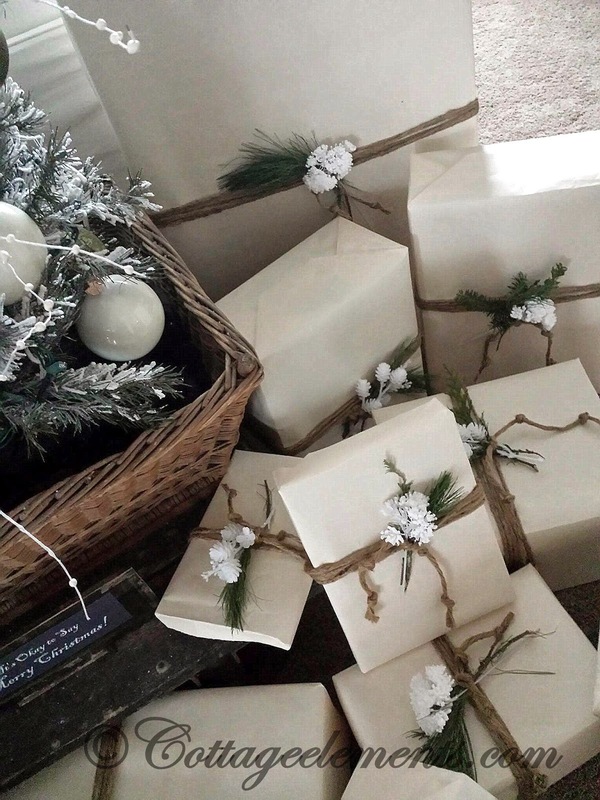 The paper I used was actually for wrapping packages to be mailed. It's a little thicker and I liked that about it. It has a very natural feel to it. 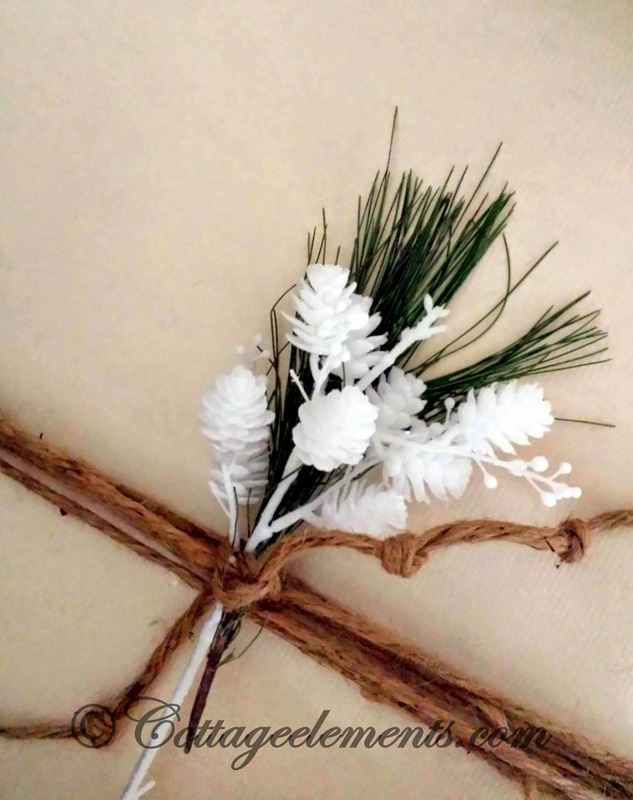 And I know some would think it's a no-no to use faux florals, but I have to say I really like how they look on the packages. All done up and ready to open! 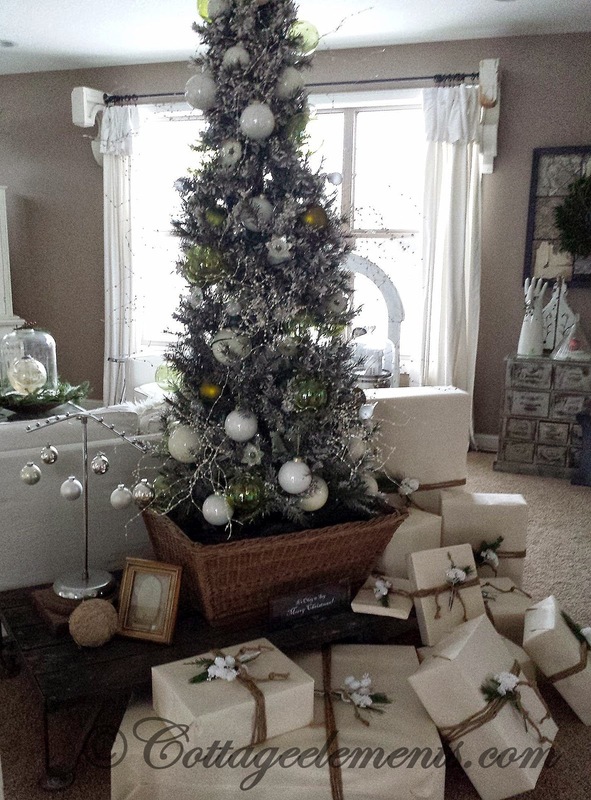 Funny how it takes hours to decorate and only minutes to open...ha! I love how they look under my tree. 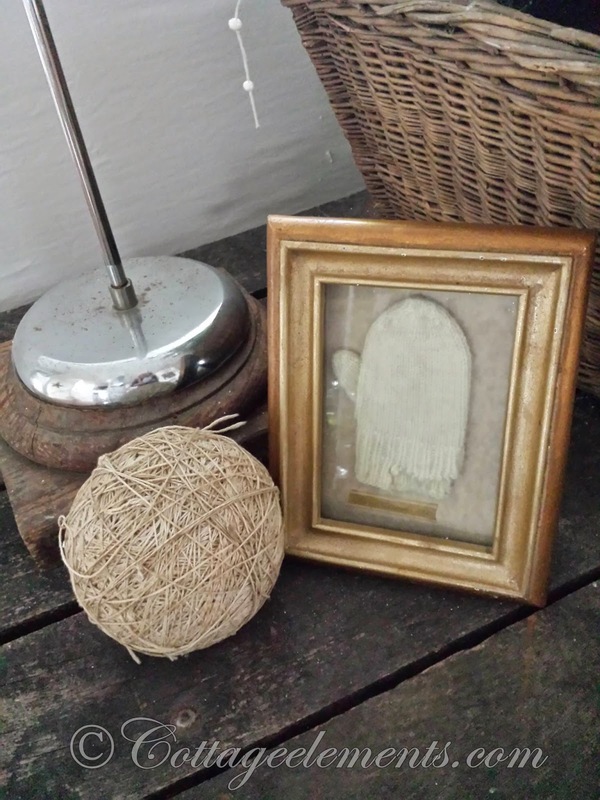 And next to my tree I have an old mitten framed up with a vintage ball of twine. Simple and sweet. 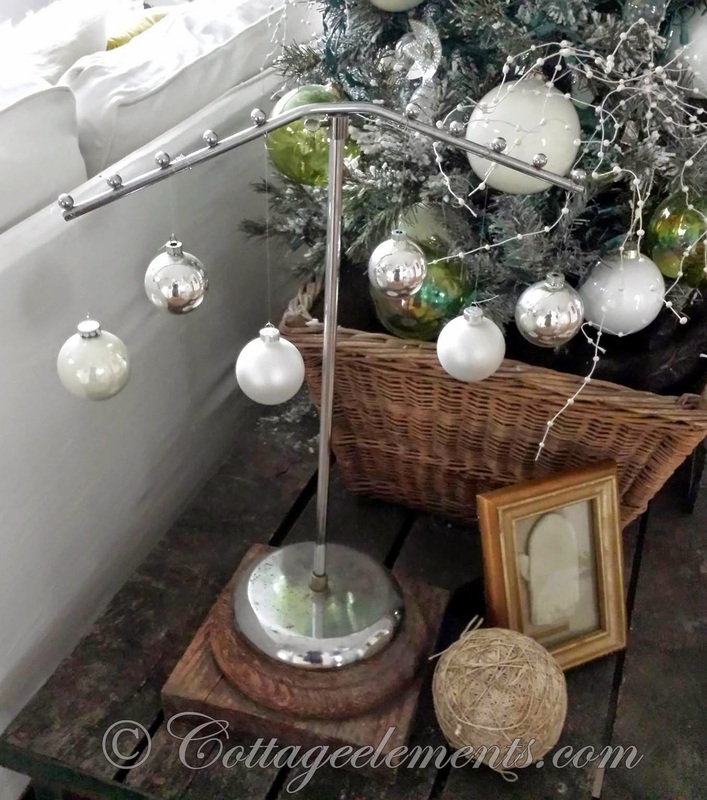 This vintage jewelry display also works for displaying Christmas balls hung by fishing line. 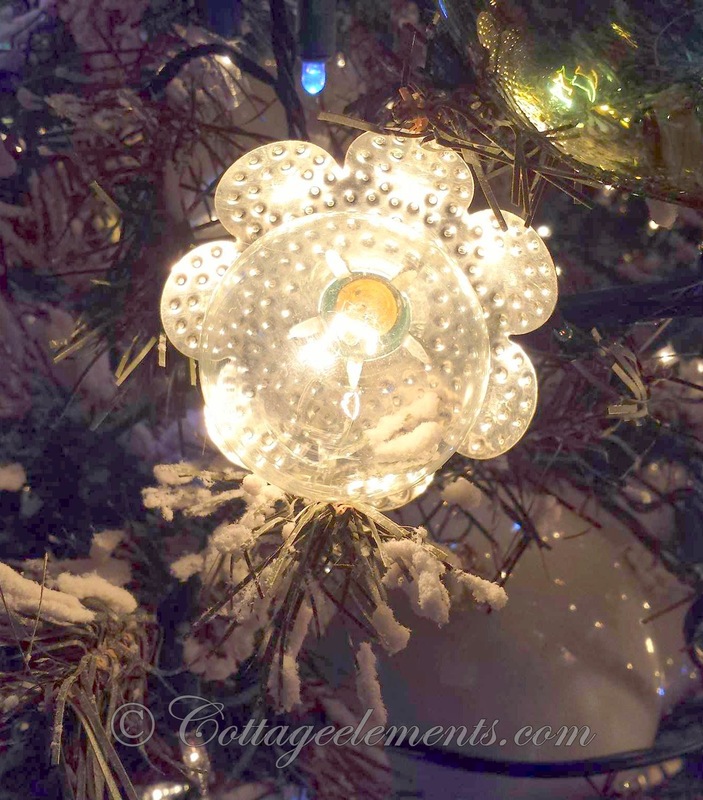 And this light reflectors are a favorite of mine. They look like flowers on the tree. 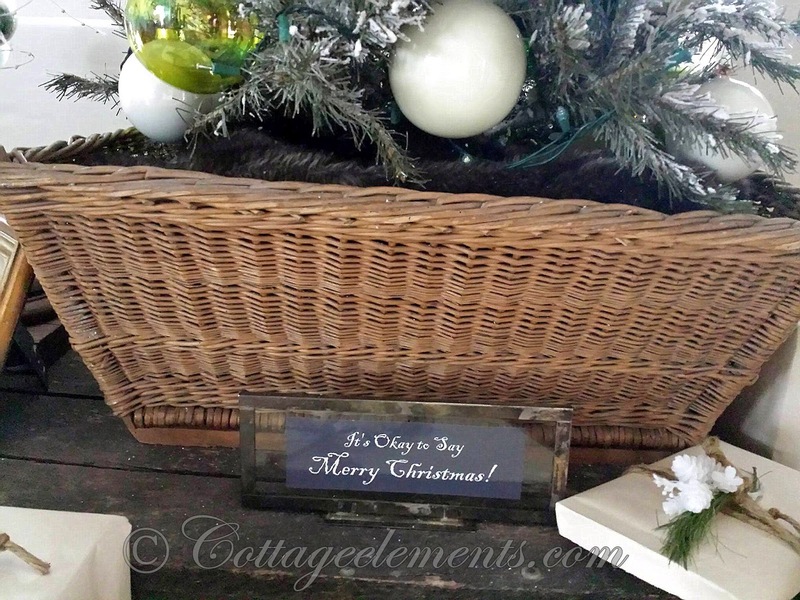 The tree sits a top of a wheeled palet and is housed in vintage wicker basket. A sign finishes it off letting everyone know we say, "Merry Christmas" 'round here. Everything's ready so let the Christmas celebrating commence!